Reduced fat mass. Reduced cholesterol. Reduced systolic and diastolic blood pressure. Reduced triglycerides. These are the results experienced by those who put the Fortify supplements to the test in an independently reviewed clinical study. Fortify is revolutionary. It is powerful. It is proven. And now, it is available to order throughout North America. Fortify is a proprietary, clinically studied program that combines positive lifestyle changes with cutting-edge supplements. By supporting a healthy gut microbiome, the Fortify program offers a path to healthy metabolic function, healthy cardiovascular function, and healthy body composition (weight management) all in one organized, proven program. The complete Fortify program, as followed by clinical study participants, follows a period of 90-days and encourages healthy lifestyle changes amplified by six powerful products. It is unlike any other program on the market. Adhering to the Fortify program as outlined in the Fortify Program Guide will be your most significant step toward unlocking your potential and achieving Elite Health. Metabolic Shake: Blending heart-healthy phytosterols with high-quality, vegan pea protein isolate in a unique formula. Metabolic LDL: A patented combination of powerful Bergamot extract and a proprietary antioxidant blend that supports healthy total cholesterol and triglyceride levels while modulating the oxidation of LDL cholesterol. Biome Basics: Providing essential nutrients, herbs, chlorophyll, and antioxidant-rich fruits and vegetables. It is the multivitamin developed to help fortify your microbiome with essential nutrition. Biome Balance: Featuring Berberine, an Indian root extract that may support microbiome balance by combatting endotoxins that interfere with gut performance and glucose metabolism. 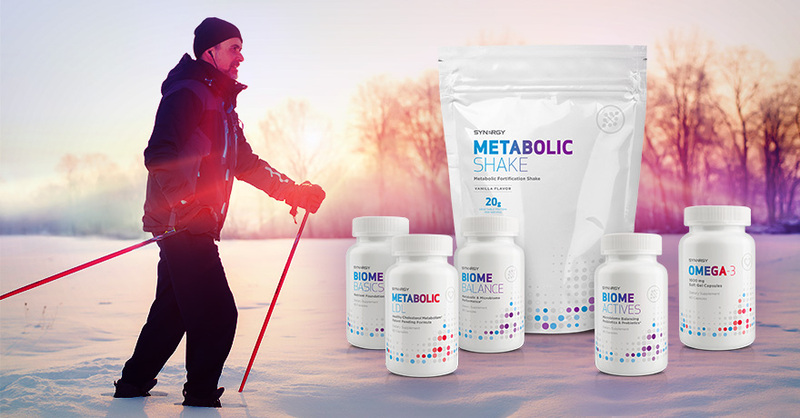 Biome Balance also supports healthy insulin response and already healthy cholesterol and triglyceride levels for healthy metabolic function. Biome Actives: Combines prebiotics and probiotics to synergistically provide a favorable environment for beneficial gut bacteria. Omega-3: Essential fatty acids that can only be obtained through diet or supplementation. BUY 3 FORTIFY KITS, GET 1 PURIFY KIT FREE! Three Fortify Kits comprise your full a 90-day supply. It’s the complete Fortify program! And with this special, you’ll be able to jump-start your Fortify program with Purify, Synergy’s seven-day microbiome kit. For more information about Purify, click here. 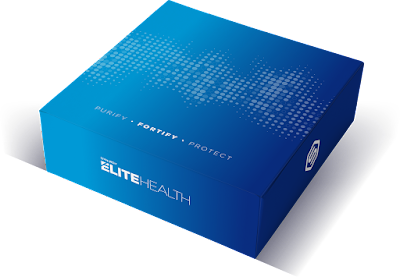 Three Fortify Kits, 90-day supply: $799, 600CV, and the Purify Kit, a $179 value, comes FREE. Fortify Program Guide: Learn how to combine your Fortify supplements with the right foods and exercise for maximum benefit. Fortify Study Infographic: Want to see how incredible the results of the Fortify clinical trials truly were? Enjoy this illustrated study report. Purify Guide: For those getting a free Purify kit, learn how to jumps tart you microbiome-focused nutritional effort. Now Available: Metabolic LDL and Cardio Protect! Support strong, healthy heart function with the Synergy’s Metabolic LDL, now available. This unique formula provides targeted nutrition designed to aid your body’s ability to maintain healthy cholesterol levels. The chief ingredient in Metabolic LDL is organically-grown, hand-harvested Bergamot orange extract is bursting with polyphenols which are naturally occurring antioxidants that scavenge free radicals from the body. This specific type of orange extract is the most clinically proven available. The Bergamot extract combined with a proprietary blend of antioxidants are shown to help support healthy cholesterol and triglyceride levels. The complete formula works, in part, by blocking an enzyme the liver needs to produce harmful LDL cholesterol. Indeed, it’s a combination that naturally supports healthy cholesterol and blood sugar levels to create a truly synergistic effect. Want to learn more about Metabolic LDL? Click here to view the fact sheet. In order to help combat the burden that our hardest working muscle endures each day, we’ve combined the power of Metabolic LDL with two of Synergy’s most trusted and potent heart health products, ProArgi-9+ & Omega-3, to provide cardiovascular support and protection for our most vital organ. WHAT’S IN THIS NEW KIT? Metabolic LDL: This unique and powerful herbal formula helps modulate cholesterol oxidation and maintain healthy cholesterol levels. Omega-3: Providing essential fatty acids that can only be obtained through diet, Omega-3 supports cardiovascular function, brain health, and can even promote healthy circulatory function. The human heart pumps around five quarts of blood each minute, and beats an average of over 100,000 times each day! Help protect each beat with the new Cardio Protect Kit featuring Metabolic LDL today! Our hearts need proper care and attention to remain efficient and strong. Many cardio-conscious people wisely turn to physical exercise and aerobic activity to increase their cardiovascular strength. However, exercise alone can often fall short of a person’s needs. Proper supplementation of heart healthy nutrients like those contained in Metabolic LDL and the Cardio Protect kit, combined with careful, moderate exercise, is a great way to make sure your heart and body get the loving attention they need. Many people started their 2018 with goals to purify their microbiome, and with the New Year Purify Special, participants were able to extend the detoxifying effects for an entire month with two FREE boxes of Biome DTX! It’s not too late to take advantage of this special, but hurry, last chance to buy the Purify Pack is Monday February 26, so act fast! Elite Health is possible and a balanced and properly fed microbiome is the key to achieve it. Working with scientists, researchers, and medical doctors at the Hughes Center for Research and Innovation, Synergy has carefully engineered proprietary solutions to optimize the balance of the microbiome. It’s never too late to give your body the nutrition and attention it needs. By completing Synergy’s Purify step, you are opening the doors to the next phases of Elite Health where you will strive for substantial and lasting changes in your health and in your life. With the powerful and effective products of the Purify Kit followed by the daily detoxifying components of Biome DTX, 2018 will surely be the beginnings of a healthier, happier you! The 2018 Experience Synergy event is approaching fast! In just a few days, North America’s first on-site event of the year will officially kickoff! If you have not registered for this event already, click here to register now. Online registration for this event closes Wednesday, February 21 at midnight! There will be limited seating available for anyone who wishes to register on-site. However, the price of on-site registration will increase to $10 for one person. We cannot guarantee admission to those who did not register online, so act now, save your seat and save some cash! For more information about the Experience Synergy event, click here. To go straight to our registration page here. We look forward to having our Team Members join us for this opportunity and wish to thank them for all of their hard work. We will see you all February 23! 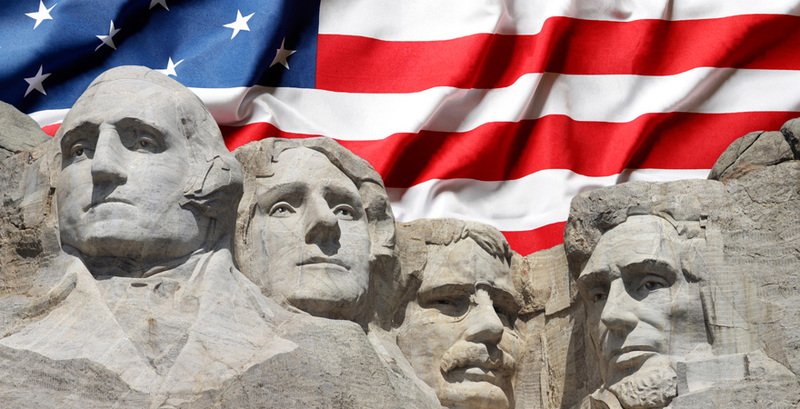 In honor of Presidents’ Day in North America, the Synergy WorldWide office and Customer Service will be closed on Monday, February 19. Please plan accordingly to accommodate for this closure. Normal hours will resume on Tuesday, February 20. Last November, as the holiday season began, Synergy Team Member Brent Burnett was passionately working with his team to reach new business milestones. Now, not only has he achieved the rank of Pearl Executive, he has set up a foundation for even greater success with Synergy in the future. Hitting Pearl is definitely a commendable achievement for Brent, but not one that he could have accomplished alone. Joining him in the journey for greatness are two other Team Members who made pushes of their own to reach new titles before the end of the year. William Ackley and Richard Carl, friends of Brent and members of his organization, were taught what would be required in order for their businesses to grow. They met with Brent, set goals, and organized a plan to each achieve the Team Director title in conjunction with Brent’s advancement. It was teamwork at its finest. As they worked to see their plans come to fruition, William and Richard committed to create positive habits that could be duplicated. Today, Brent Burnett leads his team as a Pearl Executive, and with new milestones in sight. He has two very dedicated and passionate Team Directors by his side, looking to achieve further success in their own businesses. The future is looking bright, but all three are aware that building on success takes dedication and patience. Brent has a goal to maintain a positive attitude as he builds. He believes this is how a successful team will be built. He hopes to create a climate in which people will want to work hard. As Brent continues to build a positive team in 2018, we congratulate him, along with William Ackley and Richard Carl, for their accomplishments so far. As they continue to generate momentum, we look forward to seeing how they will grow this year and beyond! 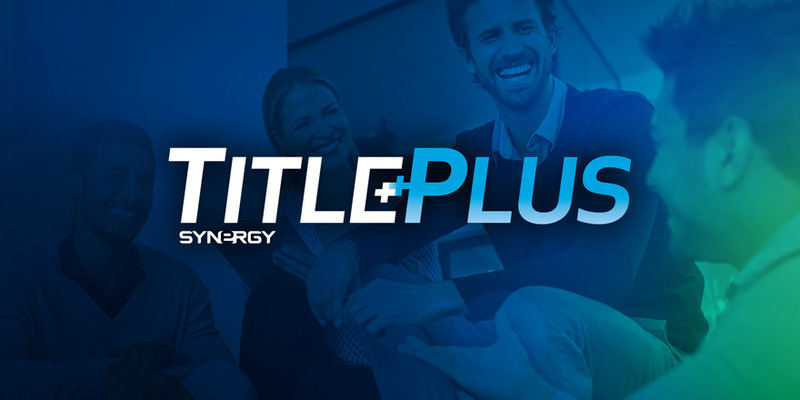 Last month, Synergy paid out over $500 in Title Plus bonuses. Congratulations to all those who earned their bonus last month! The 2018 Elite Honors program is off to incredible beginnings. This team of hard working individuals are striving for greatness in 2018 and started the new year the right way. As the 2018 Elite Honors Club grows, we are excited to see the new levels of success our qualifiers will achieve. Thanks to the dedication and passion they bring to Synergy, these Elite Honors Club members will continue to reach new levels of success. Plus, by qualifying for Elite Honors in January, these dedicated individuals have reset their “starting line” and are eligible to earn extra cash through the 2018 Title Plus promotion! Again, we congratulate the individuals listed above for achieving Elite Honors this last month. Your dedication to building a successful Synergy business is impressive. We are grateful for your hard work, your belief, and for the fantastic examples you are setting for anyone looking to Leave a Legacy of their own. The U.S. Food and Drug Administration (FDA) has recently updated the standard Nutrition Fact label that appears on packaged food and supplements. The required design of the label has been modified, along with the standards for measuring and declaring daily values and serving sizes. To comply with this FDA update and the new requirements, you will begin to notice new labels on Synergy products. 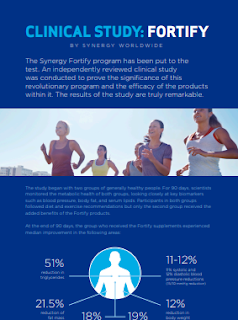 Please note that although the new label looks different, the Synergy product formulas have not changed. The ingredients have not changed. The supplements that you have known as effective, potent and safe have not changed. You may see slightly different numbers begin to appear under “% Daily Value” and listed nutrient measurements. These simply reflect the new ways the FDA requires a company to measure the foods and supplements they package. Again, what you will find inside your newly labeled Synergy package will be the same product, served in the same portions that you have been enjoying for years. At Synergy, we work to provide dependable, efficacious Elite Health solutions. This means meeting and exceeding the industry standards of quality. Thank you for putting our products to the test, just as we do every day.